"Benjamin is an amazingly talented pianist who delights and inspires everyone with his performances, versatility, and professionalism." The above tracks are only a selection of what can be performed. Please browse through the full repertoire list or book a free consultation to hear your favourite pieces of music performed. 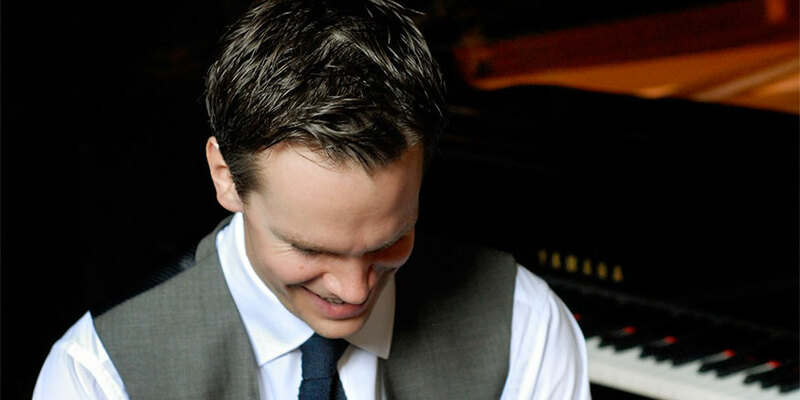 Benjamin Clarke is a musician whose diverse performance resumé includes the 100th Royal Variety Show performance with Neil Diamond as well as recitals at London’s Wigmore Hall and Manchester’s Bridgewater Hall. With twenty years experience performing for weddings, he is now a recommended supplier for many established wedding venues throughout the North West of England including; Colshaw Hall, Merrydale Manor, Heaton House Farm, Hilltop Country House, Pendrell Hall, Sandhole Oak Barn, Tabley House, The Ashes Venue, The Plough Inn and The Castlefield Rooms. Add a touch of class to your wedding with Benjamin's portable grand piano. Benjamin’s portable grand piano is the perfect choice of instrument for your wedding ceremony, drinks reception or wedding breakfast. Benjamin is an extremely talented pianist and he was professional from start to finish. We would highly recommend Benjamin to anyone who is planning their wedding, as no wedding would be the same without him. 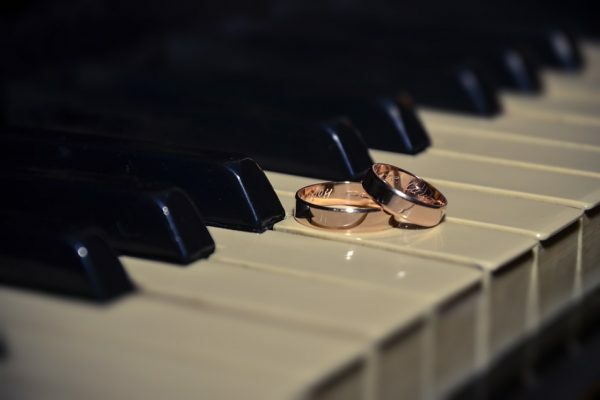 It was wonderful to have such beautiful piano playing during our ceremony at Colshaw Hall and I loved walking down the aisle to the Einaudi piece. You really made our day special. Thank you so much! We had so many wonderful comments about Benjamin's playing and our guests just loved his adaptations of modern songs. He is such a lovely, genuine and friendly person and we had a ball planning our wedding with him. Benjamin’s professionalism was outstanding from beginning to end…we cannot recommend him highly enough and know that anyone lucky enough to have him will not regret a single moment of it. Benjamin was extremely helpful, friendly and professional from the start...if quality music and great service is important to you, we cannot recommend Benjamin highly enough. Benjamin is a truly talented performer. His portable grand piano looked fantastic at the venue and his music for our ceremony, drinks reception and wedding breakfast made our day extra special. This service involves Benjamin performing your choices of music so that you can hear how they will sound on the piano before your wedding day. It is a great chance for you to see and hear Benjamin’s portable grand piano as well as an opportunity to discuss any ideas and musical requirements in detail. 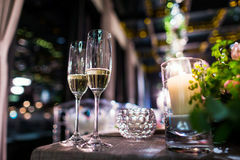 It is important that you are completely happy with all of the music you want to have on your special day and so please do get in touch today to arrange your consultation. Consultations are free of charge and can be carried out either in person or via Skype and Face Time.